2017 is the year to finally get on top of your bathroom renovation or new build. We are seeing amazing design trends, new products and innovative new ways to create the illusion off space without sacrificing luxury. You’ve no doubt seen these beauties everywhere – a huge trend from 2016 that has only gained more traction and won’t be retreating any time soon. Every second page of the latest Bathroom trend magazines feature these luxurious tubs that exude elegance and style. 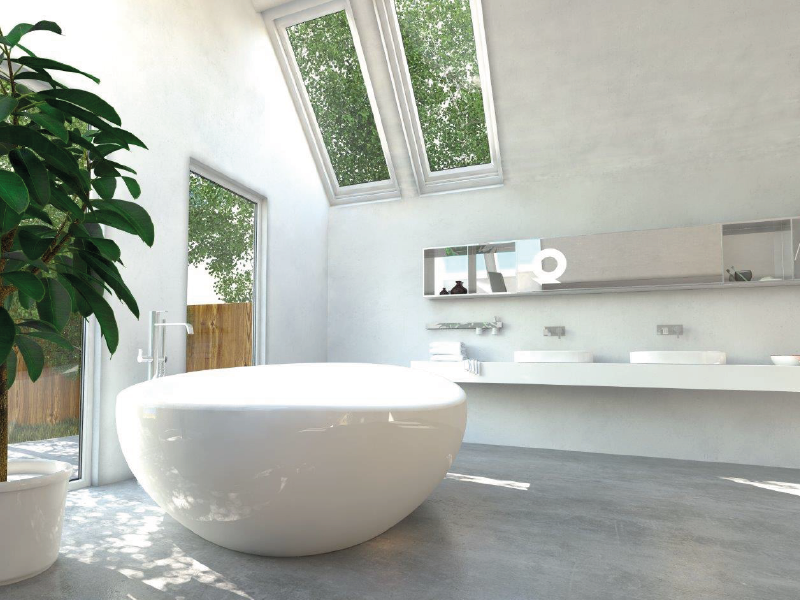 Freestanding bathtubs create an illusion of increased space, which is essential for a traditionally small room. Tip: Unlike built-in baths that hide your unsightly plumbing, be aware that with freestanding bathtubs you’ll need to conceal this yourself, so try to sit your bath directly on the floor. Additional plumbing costs may be incurred. The people have spoken and marble is here to stay. Some have insisted that marble is on its way out, but we all know that luxury never goes out of style. There are plenty of varieties to play with, originating across the world from Africa, Asia and Europe to North America and Oceania. Not only can you experiment with different varieties of marble, but also whether to use it for your floors, walls, counter tops or sinks! Stone doesn’t stop at marble, there are many types of natural stone such as slate, terracotta, bluestone, limestone, sandstone just to name a few. The possibilities are endless. Tip: Be wary of mould and mildew as its more common in stone compared to materials like porcelain. A dry bathroom is a mildew free bathroom. Tile offers and opportunity to get creative and execute that much sought after ‘unique’ look. And what’s the best thing about tiling? Waterproofing. Get rid of peeling paint and pesky watermarks for good. Get creative with colours, patterns, finishes and sizes to escape the overdone and mundane. What’s in this season? 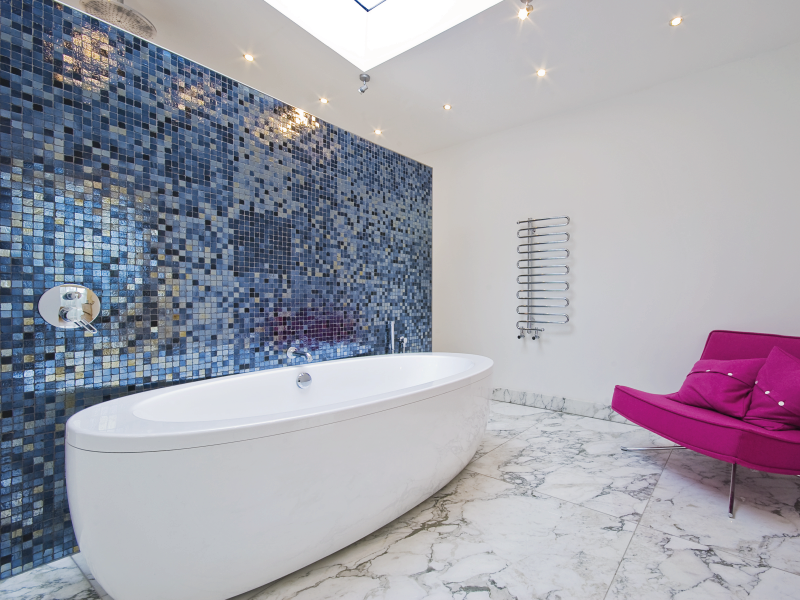 Think green, subway tiling, mosaics or simply trust your personal preferences and go with it. Clean, crisp and minimal bathrooms can never go wrong. Tip: SEAL YOUR GROUT. This will save you time and money on maintenance in the future. For even better results, check out epoxy grout for less chance of mould and mildew! Who doesn’t absolutely NEED a luminous built in skylight, streaming the natural late morning rays down onto you in your bathtub, as you soak them in along with your essential rose-hip oils? Unfortunately, unless you’re building from scratch with flexibility or have a generous renovation budget, it’s just not that feasible. You can however still optimise the natural light effect. 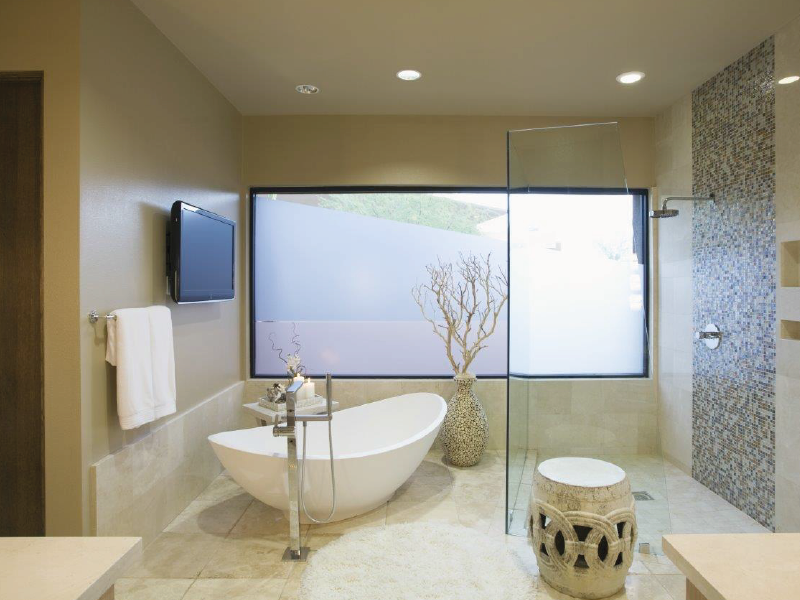 If you have windows in your bathroom, make sure to leave them clear of decor, furnishings and plumbing fixtures. By installing venetian blinds, plantation shutters or similar you can access that much sought after natural outdoor glow. You now have a perfect reason to go with that warm, dimmed mood lighting. Nobody loves bright and blinding fluorescent lights blaring down on you first thing in the morning and last thing at night. 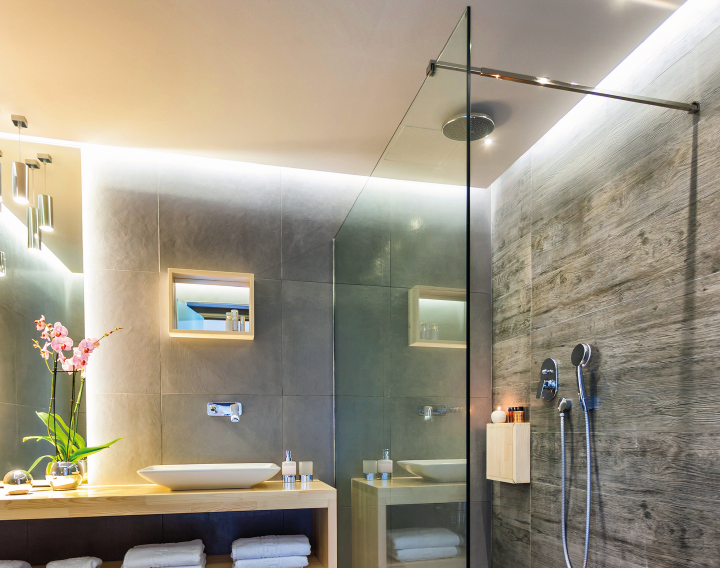 Down lights, recessed LED wall lights and hidden lights are so much fun to play around with and will give your bathroom 5 star hotel sophistication. Feel free to experiment with different levels of warmth and brightness depending on your desired outcome. Tip: Replacing these kinds of lights is not as easy as replacing your regular light bulbs. 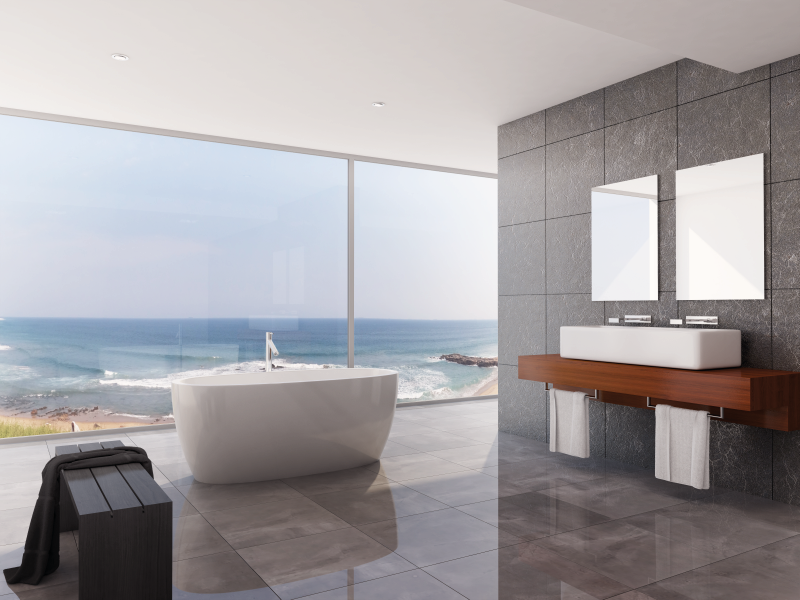 Determine your priorities when it comes to your bathroom’s style vs maintainability. Hotel bathrooms, magazine bathrooms and display bathrooms. They usually have some kind of plant life feature, if other decor is absent. It is likely that some kind of plant, whether it’s real or fake, will have a lot to offer your new favourite space. Have a quick check of the view from your bathroom, if you have any nice shrubbery or trees nearing your window; consider them to be a feature of your bathroom. Use what you have. Tip: Think about doing some planting near your windows now in preparation for many relaxing years to come. Palms are perfect for creating a tropical oasis, pines for a forest retreat and even colourful flowers for added vibrancy. You may see a recurring theme and purpose throughout the trends and tips presented here within this article. 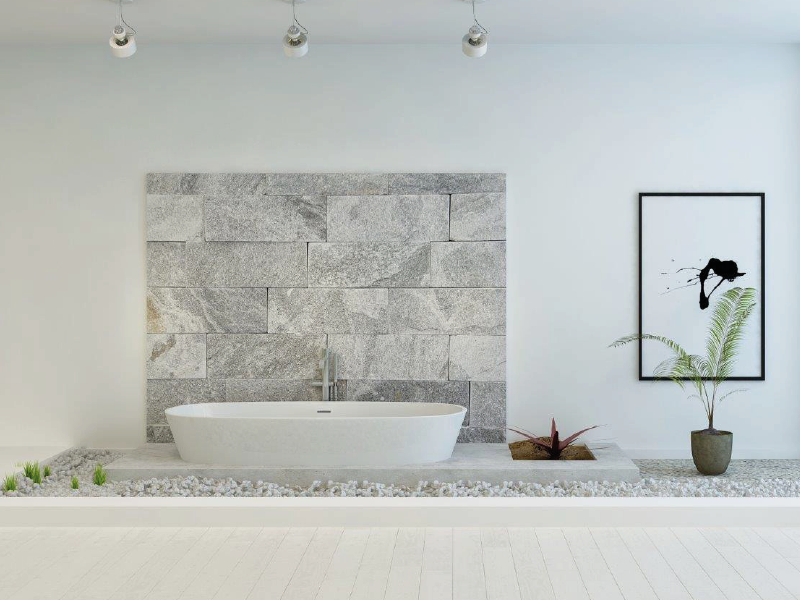 Everything listed leads to making your bathroom your sanctuary. Your bathroom can be your happy place. A place to escape the hustle and bustle of your busy life rather than contribute to it, because a messy bathroom causes more stress than you realise. It’s where we begin and end everyday. Put some time aside and invest in your bathroom this year, you’ll thank yourself for it later.